A large complicated website with simple dedicated back-end admin screensCMS stands for Content Management System, a back-end admin tool to allow you to update a website without needing to contact your web developer. There are instances where a business, organisation or individual may want to make regular changes to their website and therefore it makes sense for them to have the facility to do it themselves. Perhaps you want to keep users of the site informed of latest news, events, timetables, recent projects, testimonials or to upload photos of recent work. EasierThan Website Design specialise in developing bespoke solutions tailored to your specific needs, offering simple update screens with on-screen instructions giving you access to only the areas of the site you want to change. Unlike many web developers, we don't use "off the shelf" solutions (see Joomla below), which feature overly complicated admin screens giving you access to a myriad of options that you don't need and are only likely to make it harder for you to find what you're looking for. Day Job - You might start with good intentions, but will you actually find the time? Far better to let us interview you for content, ensure correct spelling and grammar and then all you'll have to do is review it! Static Content - In many cases, Business Websites are actually fairly static in content. What you do doesn't change regularly so is it worth paying for the facility to edit it? One-off Changes - Where a phone number, address or other detail needs changing, we're not like many other web designers out there. We don't charge the earth and we do answer our phones and respond to emails! Built-in SEO - The text and photograph labels on your website are very important tools in getting it noticed by Google. We can give you advice on Search Engine Optimisation, but when we're adding content, it will be built-in. We offer an honest approach to web design and as such, we'll try to avoid selling you something you don't need. There are cases where it makes sense and we'd always aim to ensure that yours is one of them. 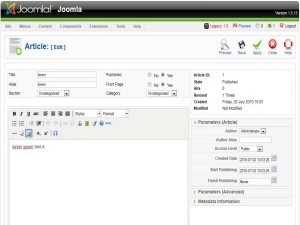 We do NOT use Joomla! Whilst it is extremely flexible, it was created by techies for techies and unless it has been heavily customised, it is an awful tool for an end user to have to cope with. If you're looking for a CMS and you're shopping around, we'd advise you to ask for a full demonstration of whatever you're being offered to verify that you're comfortable with it. Updating your site should be a quick and easy process that doesn't require an A4 sheet of instructions. 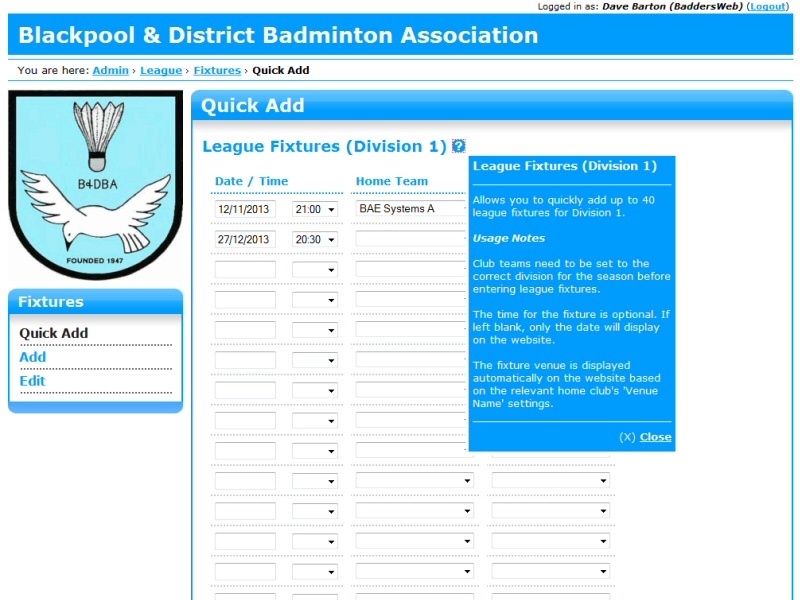 As above, EasierThan Website Design offer bespoke admin pages designed with your exact needs in mind. Finally, we also offer Third Party Website Support if you've signed your business up to a Build Your Own Website solution or have something someone else has created and are struggling to get the best from it. Note, we can also help with the aforementioned Joomla, but we'd probably advise you to get it redeveloped to make your life easier. 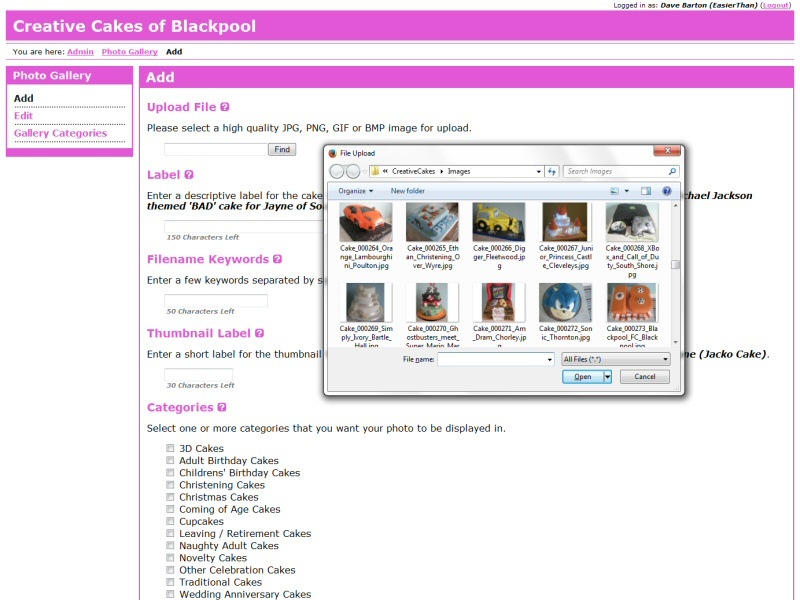 Bespoke back-end admin pages to allow the owner to upload photos of new cakes onto their website. 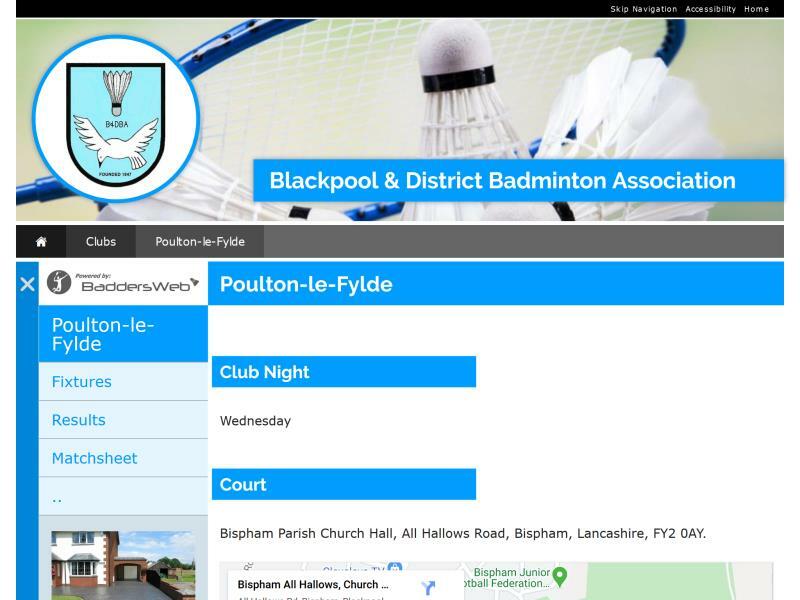 Large custom content management system to handle all aspects of content for a badminton association website, along with extensive on-screen help.